Every now and then, I write a wallpaper column. 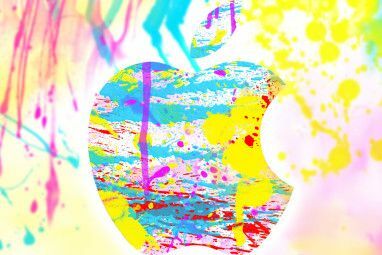 I usually pick a theme and go scour the Web in search of talented artists who have created beautiful wallpapers around that theme. And one of those times, a thought suddenly stuck me. We have some very talented photographers right here on MakeUseOf. Why not share their work with our audience? 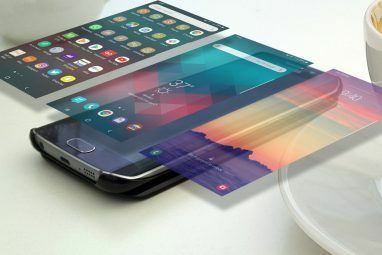 And with that, this post was born – a carefully curated collection of wallpapers by MakeUseOf authors, each with its own little story and a bit of background. Most of these images are in the same resolution they came off the camera – i.e, not pre-cropped for desktops. That’s because I wanted to give you a chance to either crop or center them, whatever fits your desktop. The copyrights for each of these images is by its original creator. You may not use them for profit, sell them, print them, etc. In other words, they are just wallpapers. From us, to you. Nancy says: This image was taken in the parking lot of a monastery between Cairo and Alexandria. It’s a place I loved going to in Egypt to get away from the city, since it was pretty much in the middle of nowhere. And old cars like that Peugeot are pretty common in Egypt. 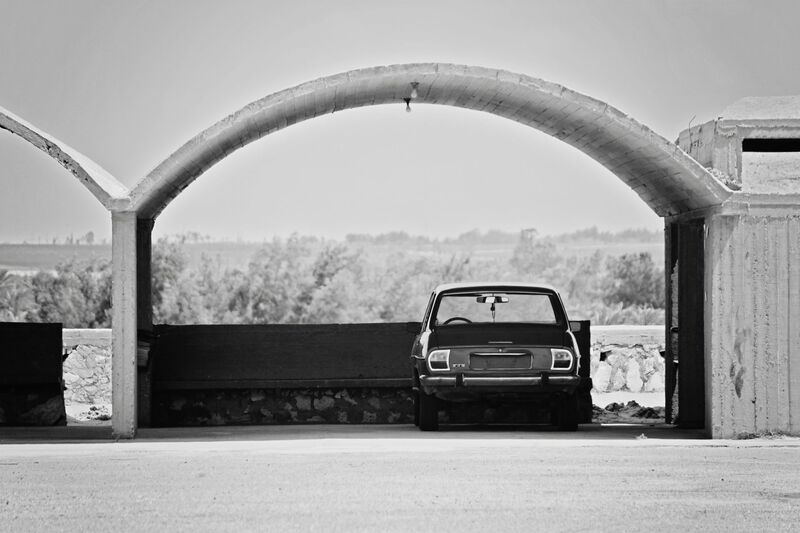 The combination of the old car, the half finished parking lot and the desert in the background is one of those constants in Egypt – where everything looks almost timeless. Dave says: This photo was taken at the end of a day on the south coast of England that my parents and I enjoyed in the spring of 2009. We headed for Littlehampton and ate fish and chips sat at the entrance to the estuary before heading along to Worthing. 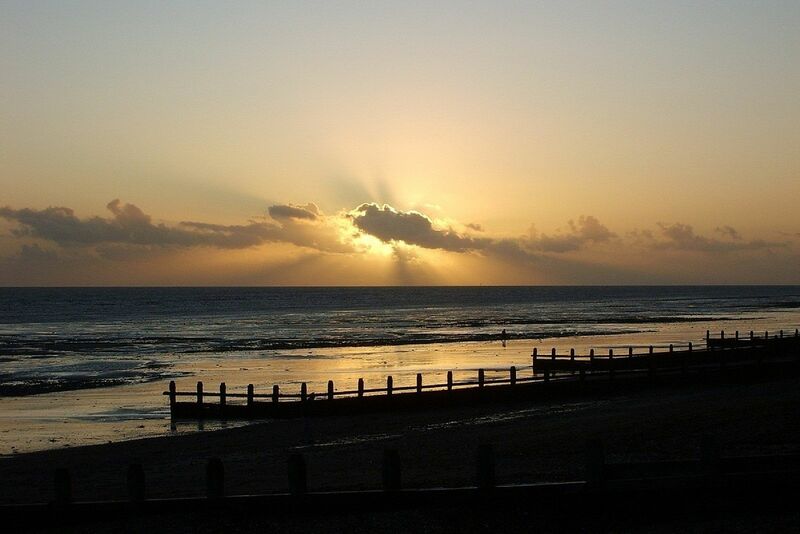 This is looking along the beach at Worthing as the sun disappears behind some menacing clouds. You can see the breakers lurching from the gravel beach down to the sand and reaching out the water’s edge. There are also two people in the shot, one of whom is clearly getting wet feet. This works as a wallpaper thanks to the sun providing a focal point with lots of dark edges that can be covered with desktop icons. You can get the full-resolution photo here. 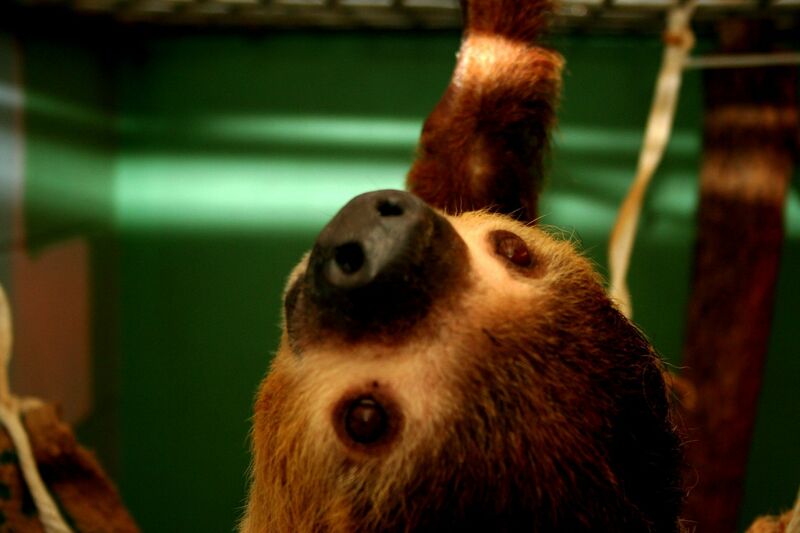 Aaron says: [This] is a sloth that was on exhibit at a zoo in Nebraska where I interned in the summer of 2010. Short and sweet (and quite cute, I must say). You can grab the full-resolution image here. Yaara says: This picture was taken on November, 2009 in southern Ontario. I was driving around in the farmlands when I first noticed these huge windmills. They looked like alien contraptions, and the more I saw of them, the more fascinating they seemed. 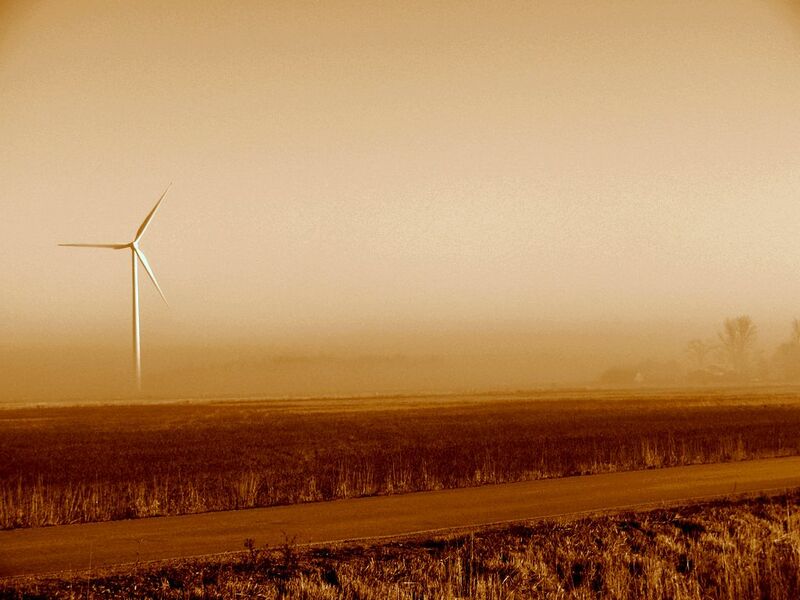 The farmlands in southern Ontario are filled with these windmills, and later I learned that they’re even a point of environmental contention. Despite that, I still remember that first windmill fascination, and I think this picture really represents their out-of-this-world character. The full-resolution image is here. The Kerala Backwaters are a labyrinthine network of canals, rivers, lakes and inlets, a system formed by more than 900 km of waterways, and often compared to the American Bayou. 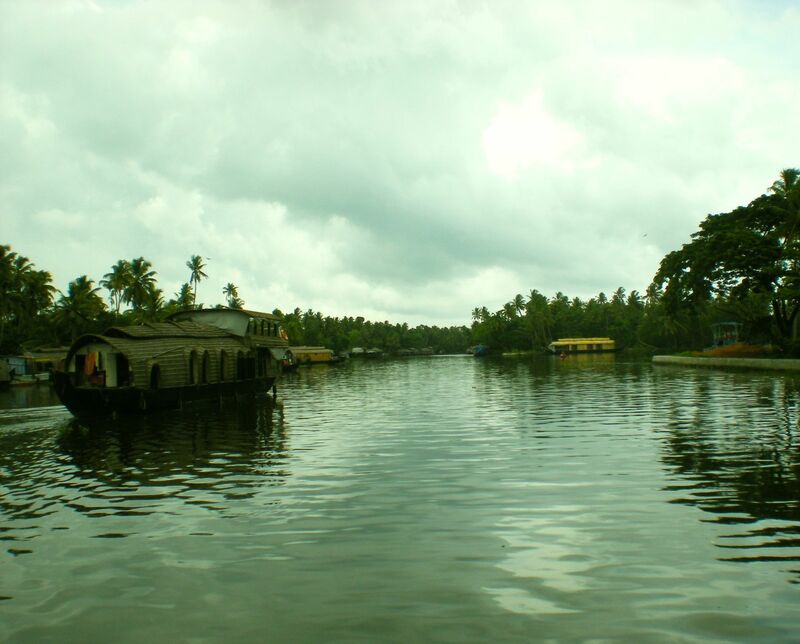 Here in the backwaters – freshwater from the rivers meets the seawater from the Arabian Sea. The houseboats you see in the pictures were traditionally used as grain barges, to transport the rice harvested in the fertile fields alongside the backwaters. Today, they have been refurbished into floating cottages with all modern amenities and are used for tourism. You can download the original image here. Tim says: I took [this image] in Scotland in 2007 when I volunteered on a wilderness reserve in the Scottish Highlands. The cattle were incredibly docile and happy for you to get right up in their faces – we even had to move them off the road because they had a tendency to just sit there, in front of any Land Rovers or tractors that wanted to get past. And here is the higher-res version. What did you guys think about this post? Did you like our wallpapers? Would you like us to share some more in the future? If you do, then let me know in the comments, and share this post with friends! I love these pictures.I used the one with all the water for my desktop.Thank you! thanks for the great pics.....keep em coming! I think these wallpapers are outstanding! Personally I'd like to see more of all the different types possible. Great variety. They're all pretty amazing! Yes ! More wallpapers, please. 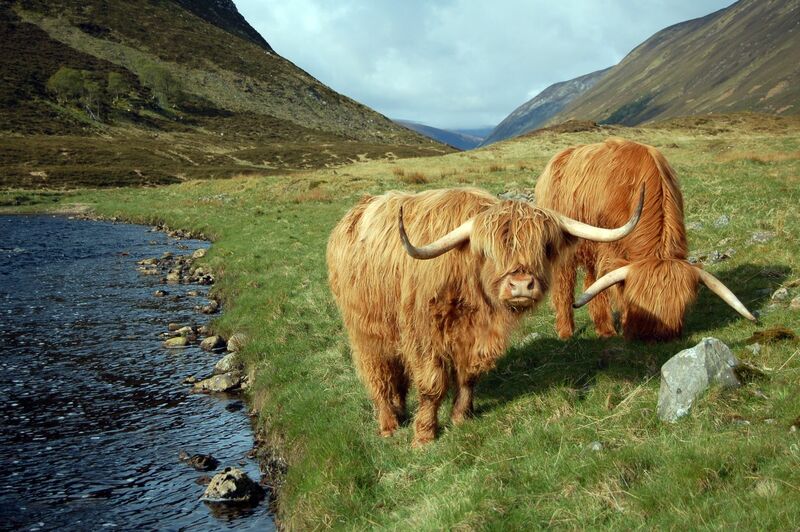 The Scottish cattle pic is especially nice. If you aren't impressed by the excruciatingly weird looking cattle, the rugged landscape behind them is an inspiration. It's enough to make me yearn for a second visit. Very nice wallpaper images. More please! 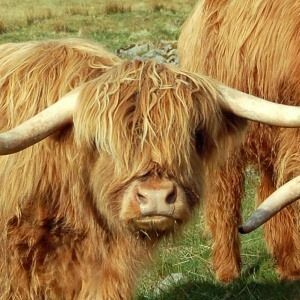 Re the Scottish Cattle just begs for the advice "Don't let them pull the wool over your eyes." Thanks for the wallpapers, yes please post more, they are a pleasure to look at. The beach scene at sunset is so realistic I felt like drawing in a deep breath. Marvelous photos, thanks so much for sharing, Please keep up this post! Really, really liked the wallpaper. I'm ready for more, more every day, please. Thank you. Nice selection of photos but just love the Highland Coos. They are great looking beasts. Liked the more scenic ones. Partial to any you would have related to: nature, beaches, sunsets, space or travel. Thanks for sharing. I really like the idea of sharing the wallpapers! Please do this some more! The collection was very interesting, but I have to say the photo of the cattle in the Scottish Highlands was particularly terrific... kudos to Tim Brookes! Thank you for sharing this and please share more in the future. I've gotta say, I love how this roundup of wallpapers really tells a story about each of the writers. Each one is attached to a personal experience so we feel like we know them that much better! Great way to connect with the readers! Not to mention, the photography is beautiful. Good job peoples. That was the whole intention Tim :) Thanks for your comments. Beautiful photographs! Wonderful as wallpaper! Thanks for sharing them! Keep them coming, if possible! Great Pics, love to see more. What would be really great, if you could set up a Library so people could pic and choose a group of pics and then have them rotate daily, like a google theme, only with more control. Just a thought. That is an interesting idea, thanks! Will think about it. Would love some Autumn and Winter/Christmas ones! Yes! I was delighted to see these pictures and look forward to more. I love to randomize my desktop and these are perfect for it. Thank you. Looks great and awesome place to visit. I love it. I couldn't see like this places in our country. good pics. pls mention how to submit photos to be included in your list..
Sure! Just submit the URLs here in the comment. You can also email me, erez [at] makeuseof [dot] com. These are really fabulous. I love the cows with their long, hippie hair, and the seaside scene is beautiful. Reminds me of my own visits to the ocean. Yes, please. Whether I use them as wallpaper or not, I love to collect beautiful pictures to look at when I am not feeling well. Loved the wallpapers - I'm always trying to beautify my desktop. 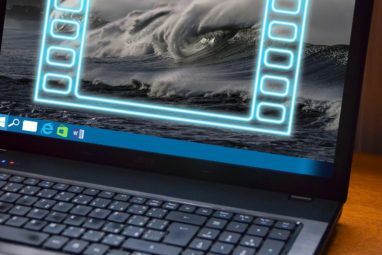 any chance that you could cover screensavers one day? I'm going to be the odd one out! Thanks but no thanks. I have always preferred to have no background and try to keep my desktop with the least amount of shortcuts. Thanks a lot for these lovely wallpaper. Hopefully these will brighten up my working day. The first one is black and white?! Anyway, I liked the Tim Brookes: A Cow From The Scottish Highlands. Beautiful! I like Tim Brookes highland cows. These are all great shots... yes, even mine. Let's persuade six more writers to contribute next time! I thought about putting mine up, but seeing as it's just a World of Warcraft logo, didn't seem worth it lol. I thought Tim's was an ox. I got really excited about that for a second. Agreed, marvelous wallpapers! More the merrier. I love Yaara's photo! The windmills are even spookier when seen in the dozens, arranged in very exact geometrical patterns across the landscape. A few weeks ago I saw a fleet of trucks transporting windmill parts for mounting. The blades are HUGE! Very impressive. I'm partial to Dave and Saikat's wallpapers. Very nice roundup nonetheless! They're all quite beautiful.